The average American spends over 30 percent of their income on housing. But for minimum wage earners, their $15,000 a year salary is barely enough to make ends meet, let alone afford rising rent costs. In fact, the median rent cost for 2014 is $1,495 and over the course of a year would total more than the entire salary of someone earning minimum wage and working 40 hours a week. These eye-opening statistics give a glimpse into just why the manufactured housing industry is becoming so popular. Manufactured homes provide affordable housing in a society riddled by a market desperate for it. Today, manufactured homes are nothing like their counterparts of the 70’s and 80’s. These homes adhere to updated safety and quality standards that make manufactured homes just as good, if not better, than comparable site-built homes. But as the appeal of affordable housing increases, so does the desire to invest in manufactured home parks. Big names like Warren Buffet are investing in parks, but often investors only see a profit margin and ignore the people. Parks with limited amenities, aging home inventories and no capital improvements make a quick buck for investors. What they don’t realize are the long-term needs of the community and how to keep the resident happy. 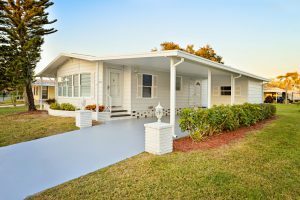 Soon enough, more and more investors will need manufactured home property management services to help them navigate the delicate business of operating this type of community. At Newby Management, we focus on the resident first. This means keeping the community up-to-date and investing in it through capital improvements. It also means working to increase occupancy, fill home sites with updated or new homes and constantly add to the amenities package. For more information on the types of services Newby Management offers when managing manufactured home communities, please visit our website at www.NewbyManagement.com.